Sometimes a dress is so much more than just fabric to stop you getting arrested for pubic indecency. Sometimes a dress is a mood changer, a confidence bringer, hell just generally a thing of awesomeness. That dear reader is the case with this frock of love. When Lindy Bop approached me to ask if I would like to review a dress for them I did do a little jig. I absolutely love their stuff. 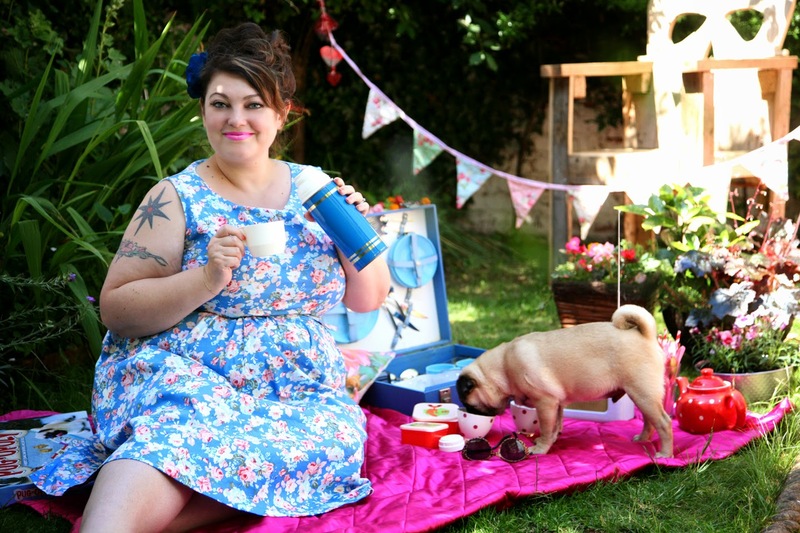 Vintage inspired clothes in great prints and probably the closest thing you will get to authentic looking fifties frocks in plus sizes. Unlike so many other retro brands the prices are really affordable too. 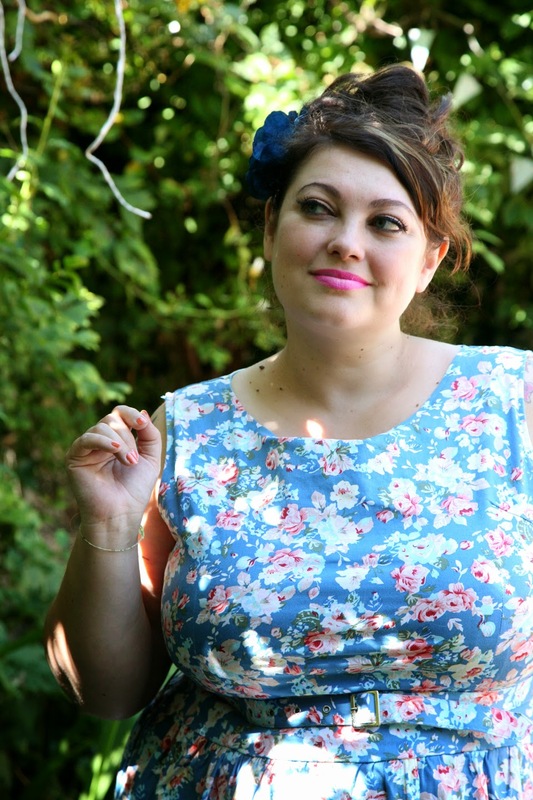 Dresses for under £35 and petticoats and shrugs for under £25. 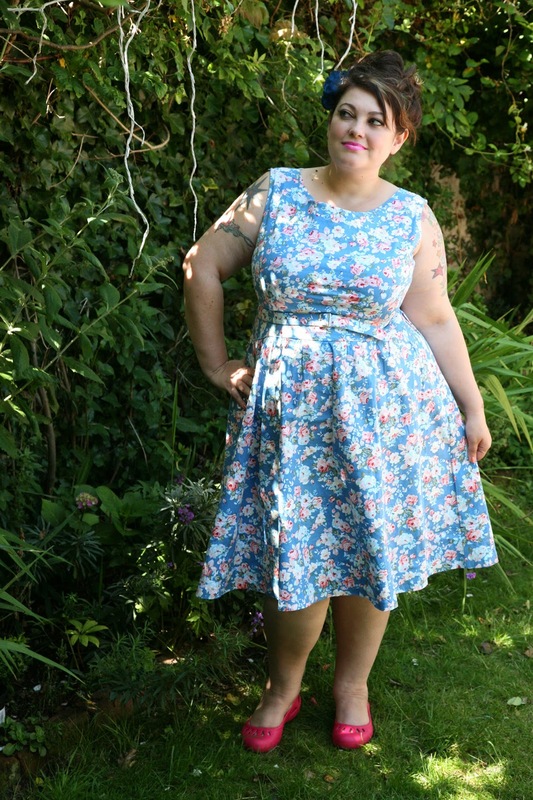 Their dresses go up to a size 26 at the moment and who knows, with enough demand maybe they could be persuaded to add more.I hope so as these frocks should be available to every curvy chick on the planet. Being asked to pick one dress from their range was actually incredibly difficult-I wanted them all but in the end I settled on the Audrey dress £34.99 in a sky blue garden party print. The quality of this dress is spot on. It features a cute little belt which really adds to the general vintage look and the fabric has enough stretch in it that it fits really nicely across the bust and at the arms. The skirt is full enough that even without a petticoat you feel like you should be on the set of Mad men and the halter neck is very "Betty Draper"
I've had so much wear out of this dress already. I wore it to see my friends 1940's singing trio "The Poppies" and also to my sisters baby shower. 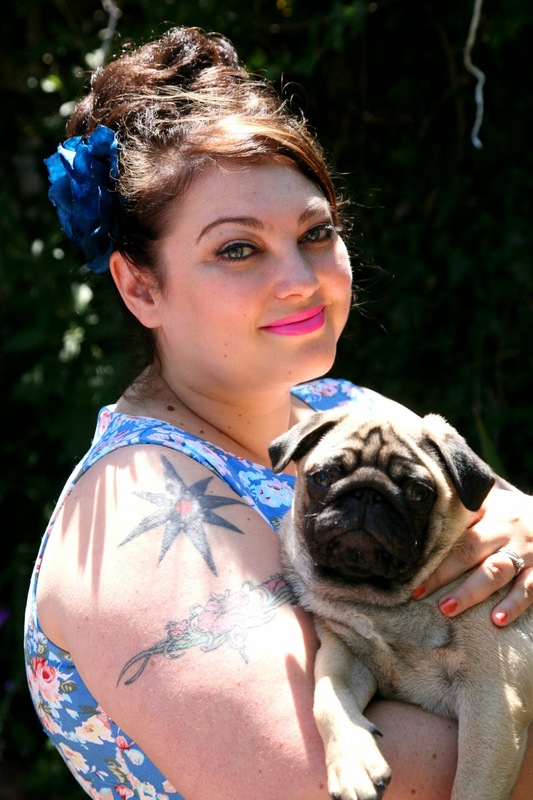 Both times I just felt rather gorgeous and like I should be in a Fellini movie. Doncha love it when your outfit transports you to a different time and place. 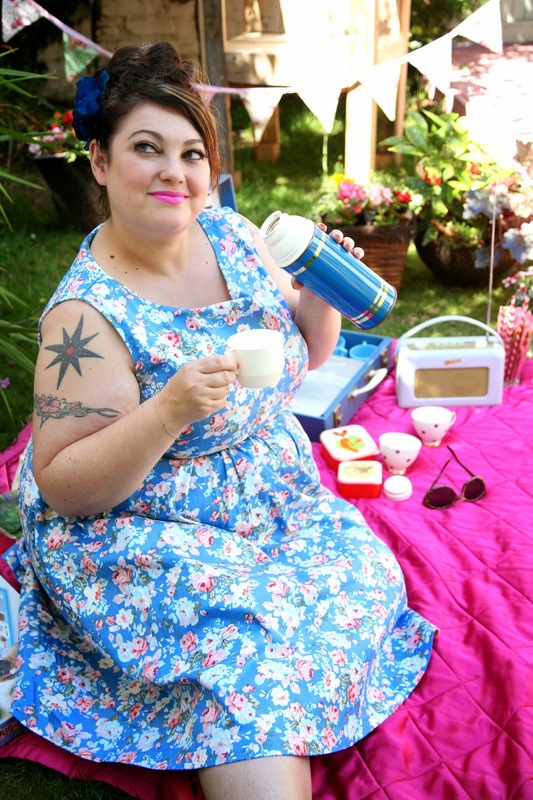 I also wore the dress for a photo shoot by the gorgeous Nicky Rockets which is for BGP magazine.Here I am getting my retro picnic thang on! Here's hoping this beautiful weather continues as I plan to get lots more wear out of this outfit.